AVG antivirus is one of the most trusted and good working antivirus for any PC/Laptop. It is not only available for free download but also available in a paid version. AVG antivirus offers all features that make it an award-winning antivirus. But if you want to switch from AVG to any other antivirus you will need to remove it using AVG removal tool from your system. 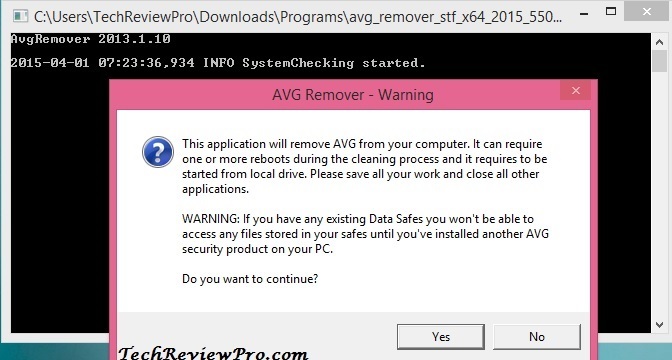 So if you are looking to kick off AVG antivirus from your PC/Laptop, here I will tell you the way to remove AVG antivirus from your PC/Laptop! Usually, people try the usual method that they use to uninstall any program from the control panel. You might also have tried this traditional way to remove or uninstall AVG antivirus from your Laptop/PC. But, sometimes this doesn’t work and there comes the need of AVG removal tool. Even after trying that traditional software removal method, if you are unable to remove AVG and getting uninstallation process failed message then don’t get frustrated. You may download AVG removal tool to remove AVG antivirus quickly. The AVG removal tool completely removes all AVG installation file from your computer including the removal of all directories user files, installation file, and registry items, etc. How to Download AVG Removal Tool? How to Use AVG Removal Tool to Remove AVG from Your PC? AVG user and installation file. Step #1: Download AVG removal tool from the link given below according to your system. If you are not sure, download AVG removal tool for 32 bit as it works on both. Download Universal AVG Removal Tool. Step #2: Run the AVG Removal Tool installation file. Step #3: After the installation of the AVG Removal tool, the AVG Removal Tool will show a warning dialog box appearing on the screen. Step #4: Click Yes to Continue. Step #5: Now you will see a command prompt screen with AVG removal progress. Step #6: When uninstallation completes you will be asked to reboot your PC/Laptop. Step #7: Reboot your Computer for complete removal of files. Step #8: Now your system will restart. Cheers! You have successfully uninstalled the AVG from your PC or Laptop using AVG Removal Tool. While running the removal process, it is recommended that you save your all other works or backup your data before starting the process. Who knows? The sudden shut-down of your PC may cause data loss. Hope this tutorial will help you to download AVG removal tool and use it to remove AVG antivirus or other AVG products from your PC. Download Telegram App – Cost Efficient, Multi-Device, Free Android App! How to Browse Faster Without Internet Connection? Next: How to Reset Data Usage on iPhone and Android Phone?